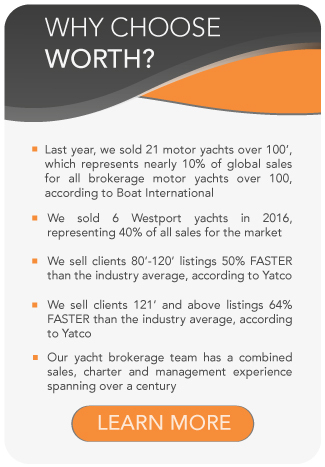 All DL Yachts for sale worldwide are listed below, scroll down to view them. DL YACHTS builds fully customized yachts in aluminum or fiberglass, ranging from 85ft / 26m to 160ft / 49m. The company owns a modern shipbuilding naval plant in the province of Ancona. DL Yachts offers a range of luxurious, strictly custom motoryachts called Dreamline, designed and tailor-made for each individual owner. Peter Zuber founded DL YACHTS in 2011. Zuber collaborates with Enrico Gobbi from Team4Design to create both the concept and exterior design and Engineer Giuseppe Arrabito from Arrabito Naval Architects for the naval engineering. This team has offered ground-breaking projects in terms of both form and content. The naval engineering of all the craft in the Dreamline range is remarkable for its breakthroughs in terms of higher performance and lower consumption. Arrabito has designed hulls that are specially streamlined to reduce resistance and enable correct sailing in displacement and when planning. At speeds of up to 12 knots, the blade-shaped hull guarantees sailing in displacement as resistance is reduced to a minimum. At higher speeds, the hull easily begins to plane, allowing yachts to cruise at speeds of up to 30 knots with resistance coefficients that cannot be compared to conventional craft. In terms of design and interior layouts, on the other hand, the architect, Enrico Gobbi, has developed solutions that offer more space for life onboard, as well as groundbreaking forms and profiles that are dynamic but never excessive. Every design element developed by Gobbi has a remarkable formal harmony that enables it to integrate perfectly with living requirements that are enhanced by that typically Italian combination of elegance, comfort and originality. Dreamline Yachts model line consists of the Dreamline 26, Dreamline 30, Dreamline 34, Dreamline 40, Dreamline 46 and Dreamline 49. The Dreamline 40, Dreamline 46 and the Dreamline 49 are available in both fiberglass and aluminum and all the yachts are built to the highest standards of quality and tailor made to meet the customer’s desires.